Gustave Roussy assembles the skills needed to carry out high-caliber oncology research, integrating fundamental, clinical, and translational research—thereby ensuring that the continuum between research and care heralds therapeutic advances and improvements in patient diagnosis. Gustave Roussy brings together the necessary skills to conduct high quality research in oncology. The Institute’s clinical research interests comprise diagnosis, therapy, psycho-oncology, sociology and health economics. The continuum between research and clinical care is instrumental in the development of new therapies and advances in diagnostic techniques. Making trials accessible to the greatest number of patients is a common thread—about a quarter of all our patients participate in clinical research. The Drug Development Department, founded in 2013, is leading for the way in early phase clinical trials, combining features of phase I and II clinical trials to allow promising molecules to be tested in a very short time frame. Its early trials involve a growing number of patients, including adults and childrenand it is supported by the French National Cancer Institute, which granted it the label of center for Early Phase Clinical Trials. The department's activities strongly contribute to making Gustave Roussy an essential partner in phase I trials in adults and children, including patients in studies to take advantage of molecular portrait-driven treatment decisions. To further highlight its commitment to cancer research, Gustave Roussy is a member of the Site of Integrated Research In Cancerology program, SIRIC SOCRATE, directed by Prof. Jean-Charles Soria, a national initiative involving eight centers (Gustave Roussy, Institut Curie, AP-HP in Paris, Marseille, Lyon, Bordeaux, Lille, and Toulouse) to integrate basic, translational and clinical research in each site, while implicating social sciences as well. Another important objective for SIRICs is to disseminate knowledge generated by research efforts—Cancer Core Europe provides an opportunity to transform research findings into clinical practice. Gustave Roussy's focus as a SIRIC center is on the SOCRATE program, which stands for "stratified oncology cell DNA repair and tumor immune elimination". The research program is comprised of three aims, covering DNA Repair, onco-immunology, and molecular medicine. 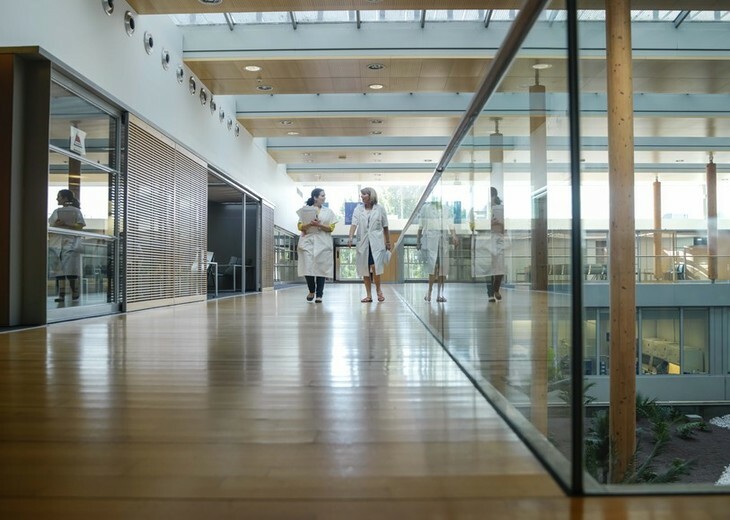 Each program is co-directed by a clinician-researcher and a fundamental researcher working in close collaboration to encourage the swift discovery of new treatments for cancer patients. Until recently, killing tumor cells had been the objective of chemotherapy and targeted therapeutic agents. Immunotherapy seeks instead to activate the body's own immune system to attack tumor cells. As an example, a new class of antibodies called immune checkpoint inhibitors can arrest tumor growth and stop many types of tumors from spreading. Until the advent of immunotherapy, these tumors were resistant to nearly any type of treatment—making this type of treatment a leading therapeutic approach for cancer. The areas of immunotherapy and anti-tumor immunology are a collaborative research focus for Gustave Roussy, since these fields holds great promise for deriving new therapies. A dedicated program offers access to immunotherapy to the greatest number of patients with any type of cancer. Some of the first clinical trials of monoclonal antibodies used as immunotherapeutic agents, including anti-CTLA4, -PD1 and -PDL1, were conducted at the institute, which played a leading role in demonstrating their efficacy. A recently established Immunotherapy Research Program has translational and clinical researchers working side-by-side in order to develop novel therapeutic strategies, test them in clinical trials and bring successful treatments into clinical practice. Dr. Aurélien Marabelle heads clinical trial development, while Prof. Laurence Zitvogel directs the scientific work. Dr. Nathalie Chaput leads the new immuno-monitoring platform specializing in immunological profiling of patients and functional analysis of immunological cells. The immuno-monitoring program seeks to validate biomarkers so that patients receive the most appropriate treatments that will provide the maximum benefit with minimal side effects.